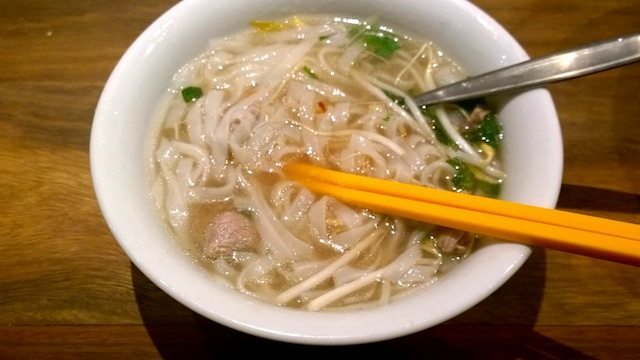 I’ve mentioned my love of Vietnamese pho before. It’s one of my favourite comfort dishes, no matter the time of year. 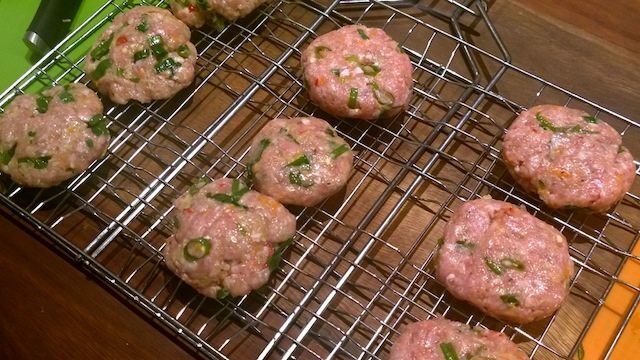 I’ve tried making it at home on numerous occasions using various recipes but, for whatever reason, have never managed to capture the beautiful flavours I taste when I go out. But like, many simple things in life, sometimes it just takes an explanation or demonstration from someone in the know to rectify that. 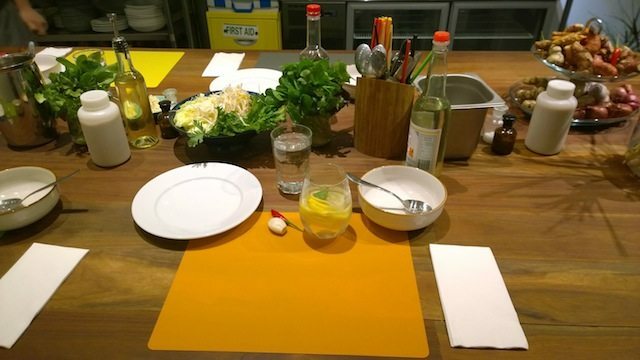 This is exactly what happened when I was invited by WeTeachMe to attend a Vietnamese cooking class at Otao Kitchen. 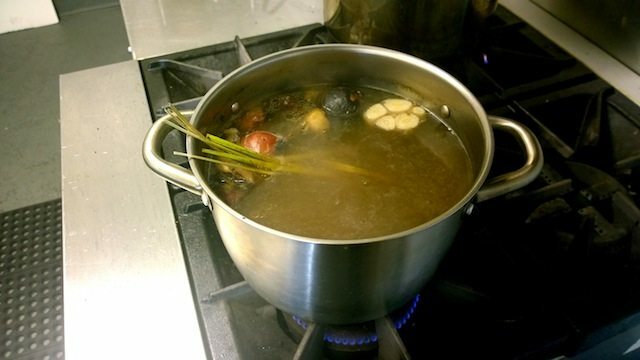 Owner, Ha Nguyen, has created a great little cooking school on Victoria Street, Richmond, and is dedicating himself to teaching people how to create scrumptious traditional Vietnamese recipes. The fit-out is clean and simple. The long communal table is covered in beautiful fresh herbs, spices and vegetables. It’s colourful and inviting. Pho Bo ready to eat! Ha’s personality is infectious. He is besotted with food and cooking and is eager to share his wealth of knowledge, experience and stories from his time in Vietnam, Singapore, New Zealand and Australia. The class sizes are small; between five and ten. There were five in my three and a half hour Hanoi Classics class, including a couple who had flown from New Zealand especially for it. 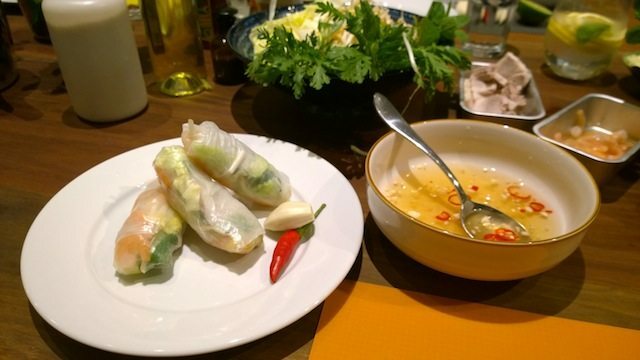 On arrival, Ha served us a lovely glass of sweetened water with lemon and mint, explained the basis of Vietnamese cooking – sweet, savoury, sour, salty, spicy – and then it was straight into cooking. Pho Cuon with Nuoc Cham (fresh rice noodle rolls with dipping sauce), Pho Bo (Hanoi beef and rice noodle soup) and Bun Cha Hanoi with Du Du Tron (BBQ pork patties with green papaya salad). We savoured our efforts, accompanied by a glass of sparkling and some good conversation with new friends. Our palates were cleansed at the end of the evening with a range of fresh tropical fruits – guava, lychees, custard apples – and a slice of moon cake. 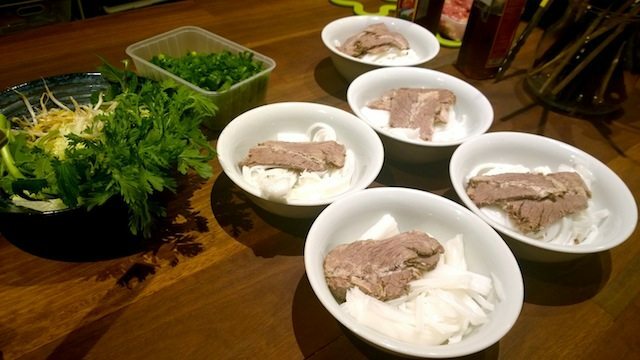 The recipes taught at the class are by no means complicated, including that for my beloved pho, but they’ll certainly stay in my memory forever. I can’t wait to try it myself at home! Trading hrs: Classes are held Fridays 6pm – 9pm, Saturdays 10am – 1pm and Sundays 11am – 2pm. Notes: Classes include Hanoi Classics, Northern Vietnamese Spring Encounter, Hoi An Beach Food, Taste of Vietnam and Discover Thai Cooking. All classes are $135 per person (fully inclusive). Private and corporate classes are available, as well as kids cooking classes.